Welcome to my Knight Gallerie! Please excuse my site while it is under construction. I am in the process of building a very unique selection of music memorabilia, concert images, and other unique knick-knacks and gifts. In the mean time, click any of the links beneath the images to go to my online store to make a purchase. You will be able to see the rest of my inventory there as well. Check it out and have some fun! The time investment will be well worth it. You might find the perfect thing for that "hard-to-buy-for" person on your gift list. 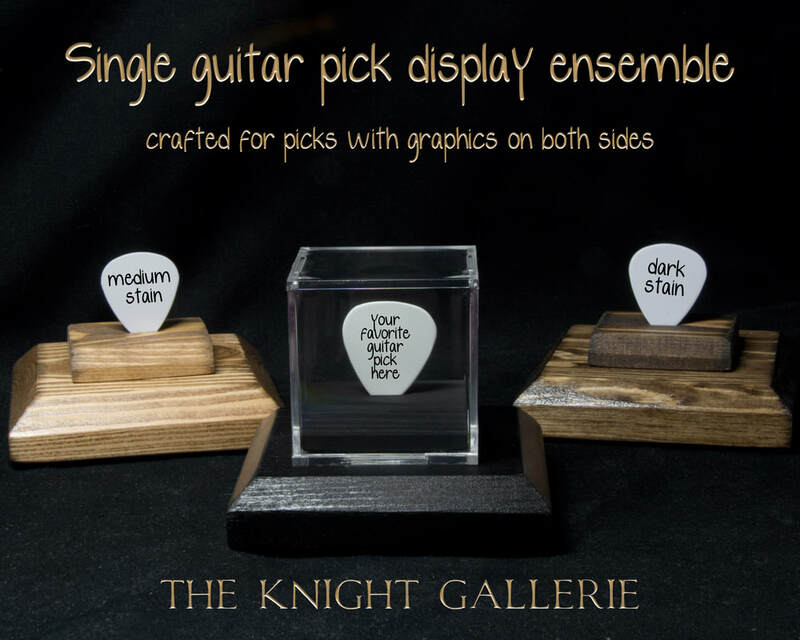 Place your cursor arrow on the image above and click the "play" arrow at the upper left side to see this slideshow showcasing a few of the unique items offered here at my Knight Gallerie shop! 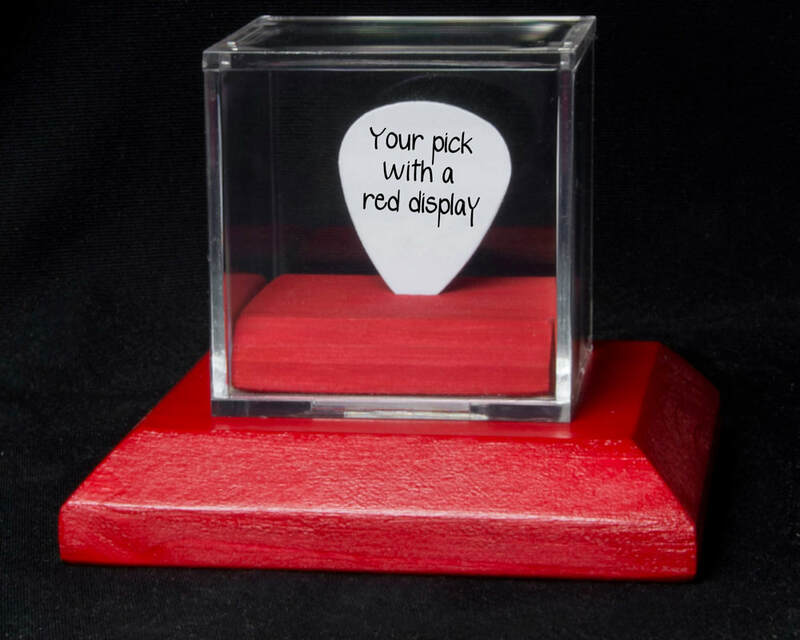 This is my single guitar pick display ensemble. 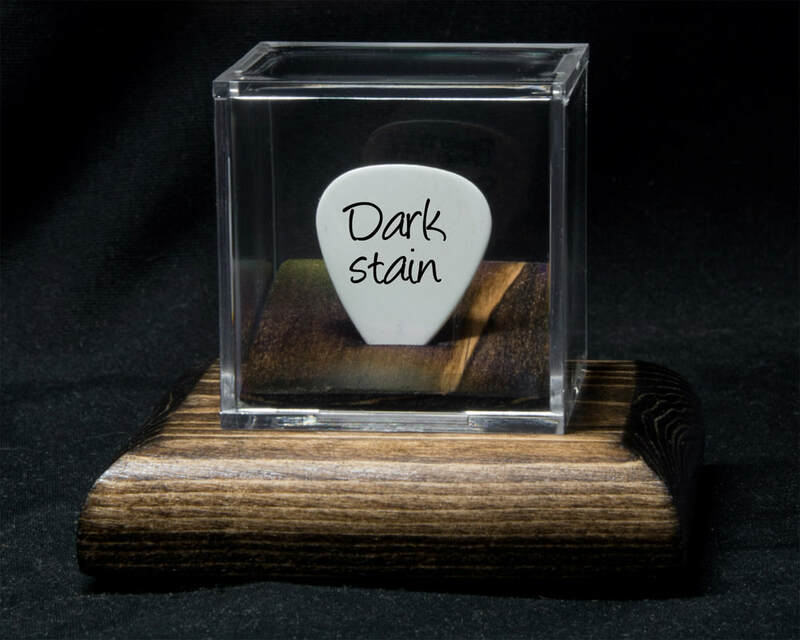 I designed it with a beveled perch to prominently display your prized guitar pick. The perch is the piece inside the display case, and the pedestal is the matching piece the display case rests beneath the display case. 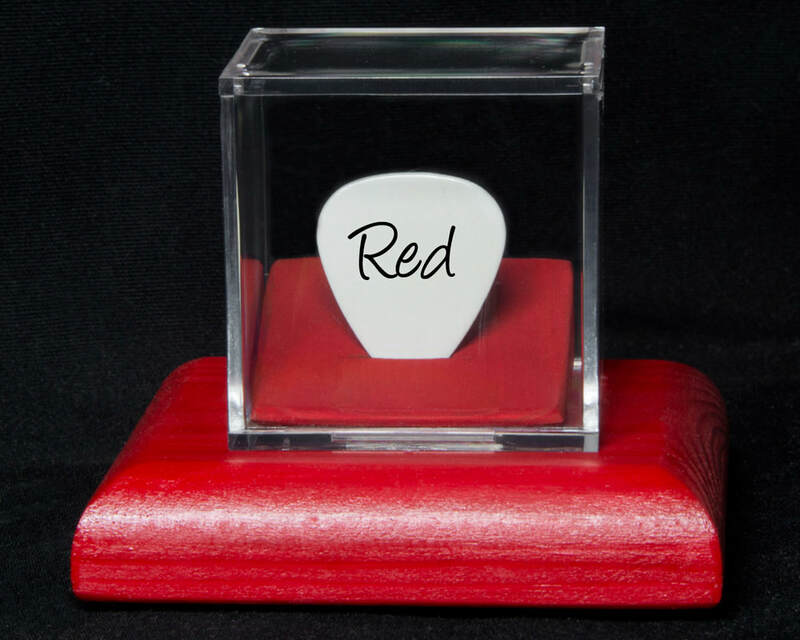 It is available in several different colors and you can choose your guitar pick thickness: thin, medium, or thick. To see more information about this beautiful piece, click the link below and you will be directed to my Zibbet Shop where you will be able to learn more and make a purchase. In addition, you will see nearly 400 authentic, stage-used and commemorative guitar picks offered for sale! Click the link and have some fun! At first glance, this pick display looks like the one at the top of the page. But this one features a flat perch as opposed one that is beveled. 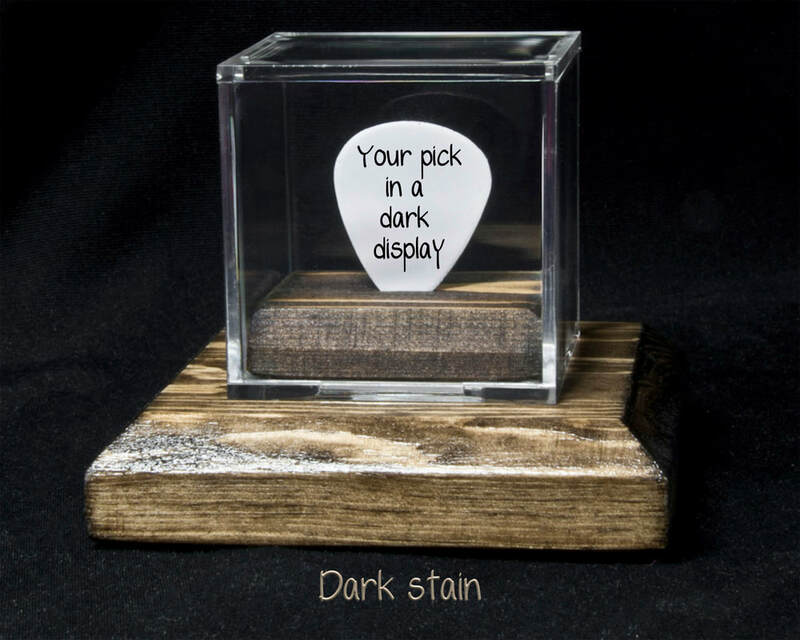 I designed this one to display guitar picks with graphics on both sides. 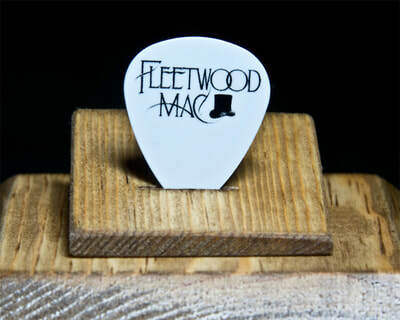 With a flat perch, both sides of the pick can be viewed easily. 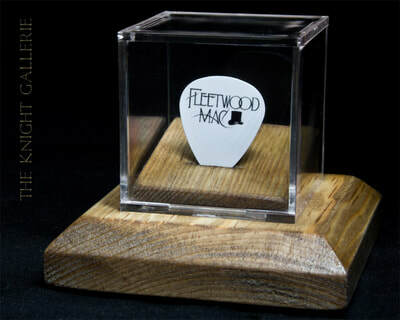 This is another awesome way to display your prized guitar pick. I have provided a link below to direct you to my Zibbet Shop where you will be able learn more purchase this item. 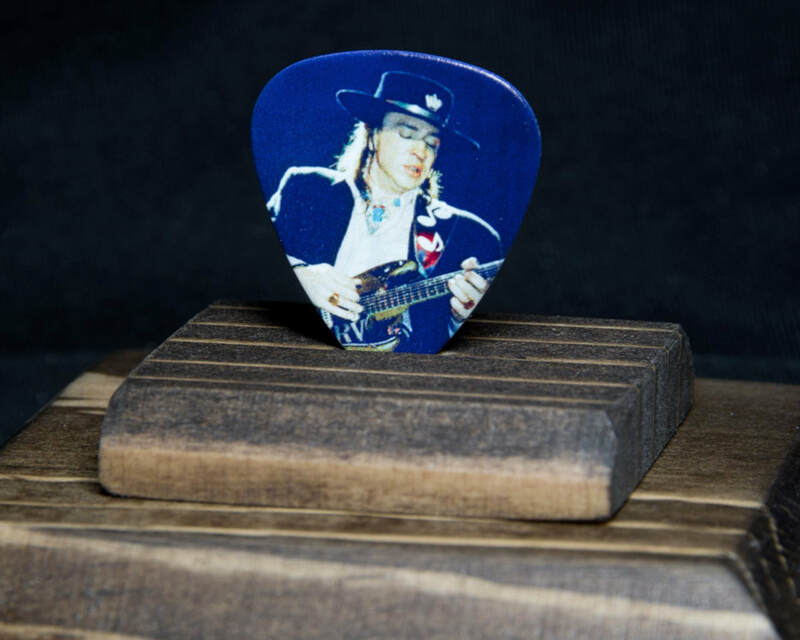 You will also be able to peruse my shop and see nearly 400 authentic, stage-used and commemorative guitar picks and other memorabilia. 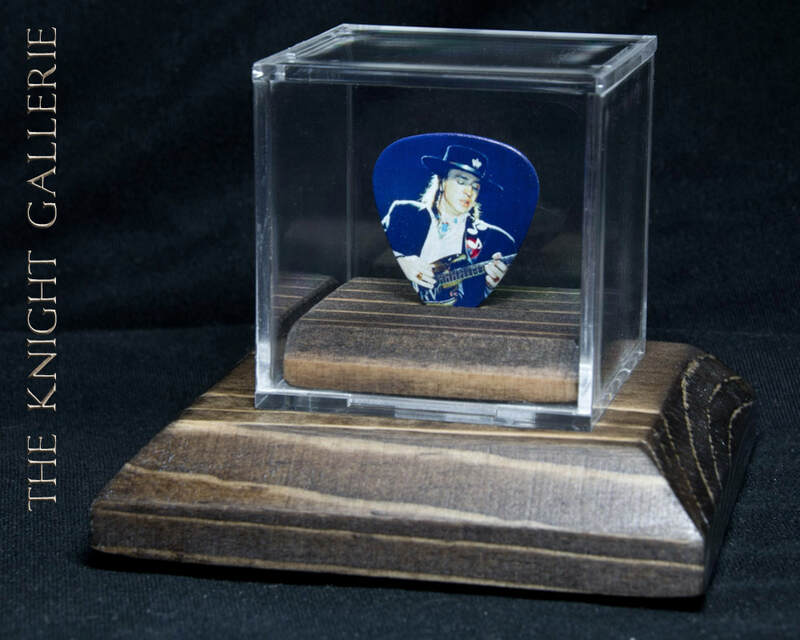 This classic commemorative Stevie Ray Vaughan guitar pick is seated in a custom perch inside a display case. It sits atop a matching, polycrylic-protected pedestal. The same image appears on both sides of the pick. The wood elements are available with dark or light stain or black. The choice is yours! 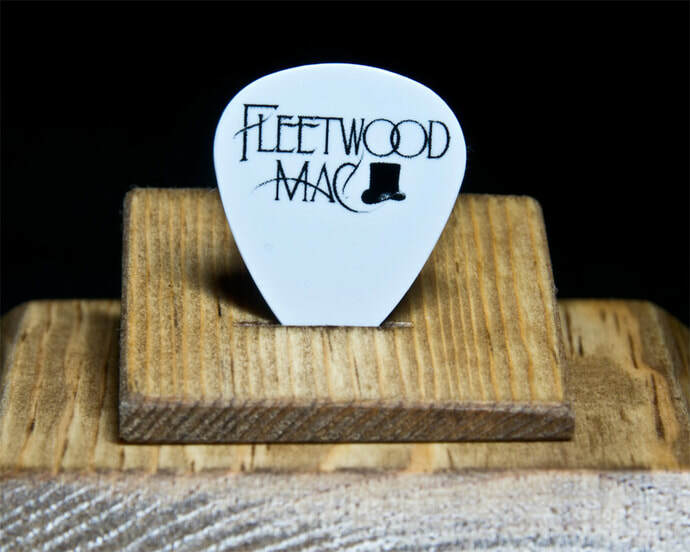 **I did not make this guitar pick. I designed and hand crafted the wood items associated with the ensemble. 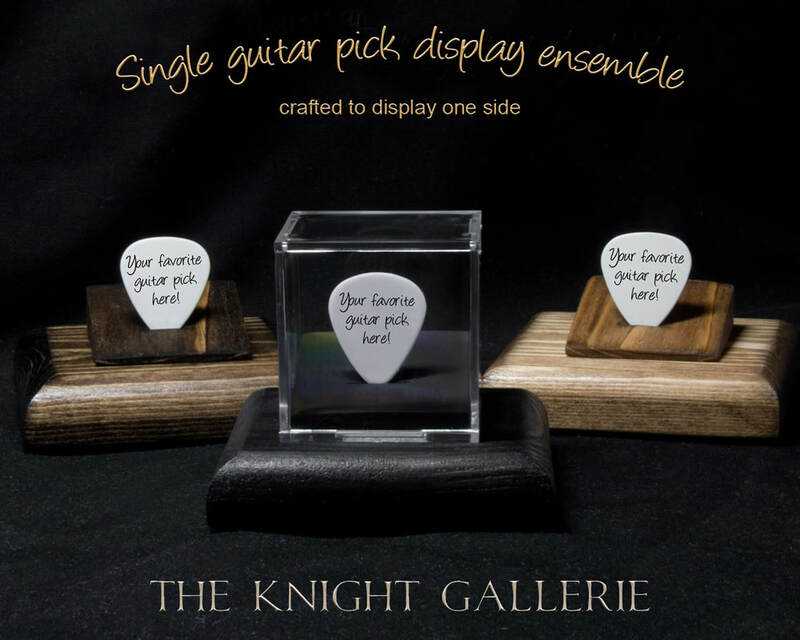 I create, and hand craft all wood elements here in The Knight Gallerie wood shop. 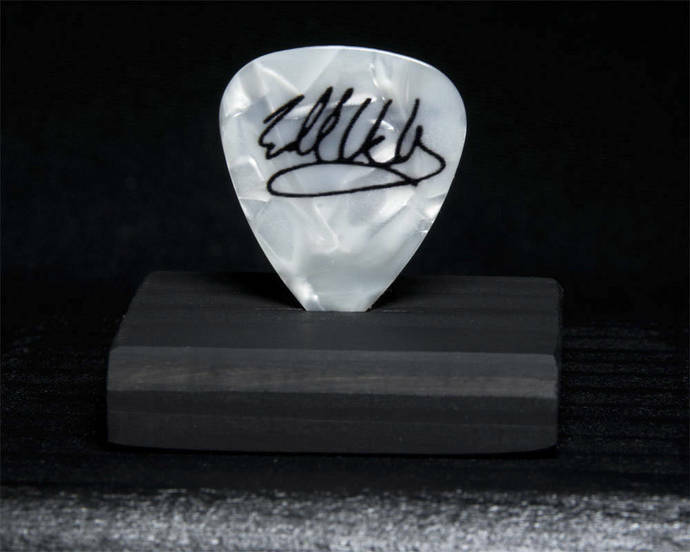 This is an authentic Eddie Van Halen guitar pick seated in a custom perch inside a display case. It sits atop a matching, black polycrylic-protected wood pedestal. One of the great features of this piece is that it features a graphic both sides. 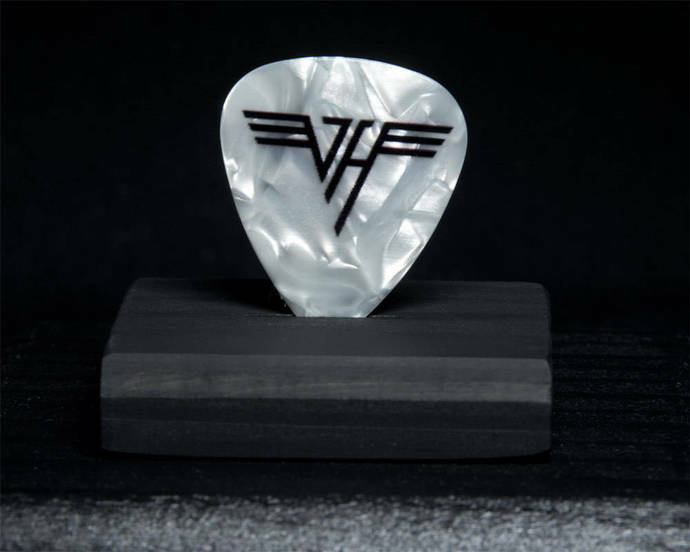 Eddie's facsimile signature is on one side and the Van Halen logo on the other. It's like getting two picks for the price of one! DO NOT let this gem get away. 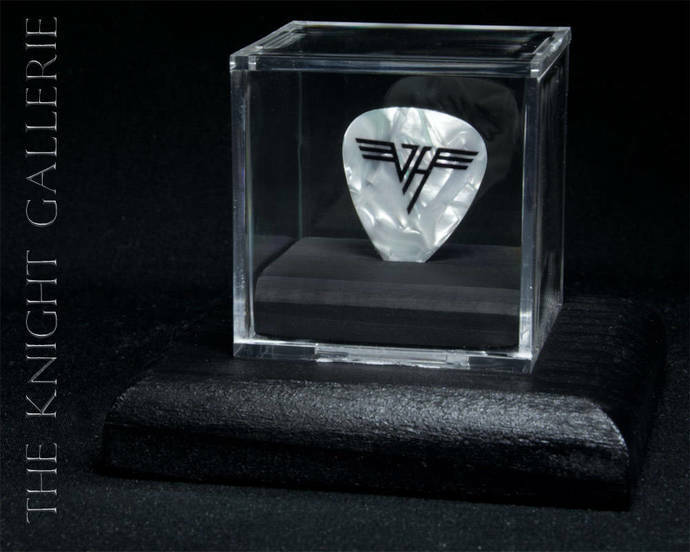 The EVH fan on your gift list will LOVE you! I create, and hand craft all of the wood elements here in The Knight Gallerie wood shop. 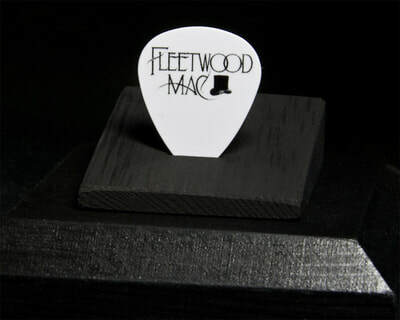 This is a commemorative Fleetwood Mac guitar pick and display case. Click the link above for more information!